Below is a list of homes for sale, if you would like to refine your search within 85249 you can easily do so here. BEAUTIFUL HOME IN A BEAUTIFUL LOCATION - TON OF PRIVACY! BACKS TO GREENBELT - OPEN KITCHEN WITH GRANITE COUNTERTOPS, STAGGERED CHERRY CABINETS AND UPGRADED APPLIANCES. SPACIOUS GREAT ROOM FLOORPLAN, LARGE MASTER SUITE WITH WALK-IN CLOSET, NEUTRAL PAINT AND TILE WORK IN THE MASTER BATH. ADDITIONAL BEDROOMS ARE NICELY SIZED. PRE-WIRED FOR SURROUND SOUND, SOFT WATER SYSTEM,CABINETS IN THE LAUNDRY ROOM,BACKYARD OASIS - PEBBLE-TEC POOL WITH WATERFALL AND SALT SYSTEM! RV GATE WITH A LARGE SIDE YARD - PERFECT FOR STORAGE OR A DOG RUN. EXCELLENT CONDITION - UPGRADED TILE AND CARPET THRU-OUT, CLOSE TO ELEMENTARY SCHOOL AND NEIGHBORHOOD PARK! CLOSE TO SCHOOLS, SHOPS, PARKS, RESTURANTS, ETC.THIS HOME HAS BEEN WELL CARED FOR AND IS MOVE-IN READY! This AMAZING, IMMACULATE, bright and spacious open concept floor plan features a split 3 bed and 2 baths with a huge DEN and office. Open entertainers dream kitchen boasts a large island for gathering, cabinets galore and stainless appliances. Welcoming family room with cozy fireplace along with a formal dining and living room perfect for hosting family and friends. Massive master bathroom suite with jetted tub. 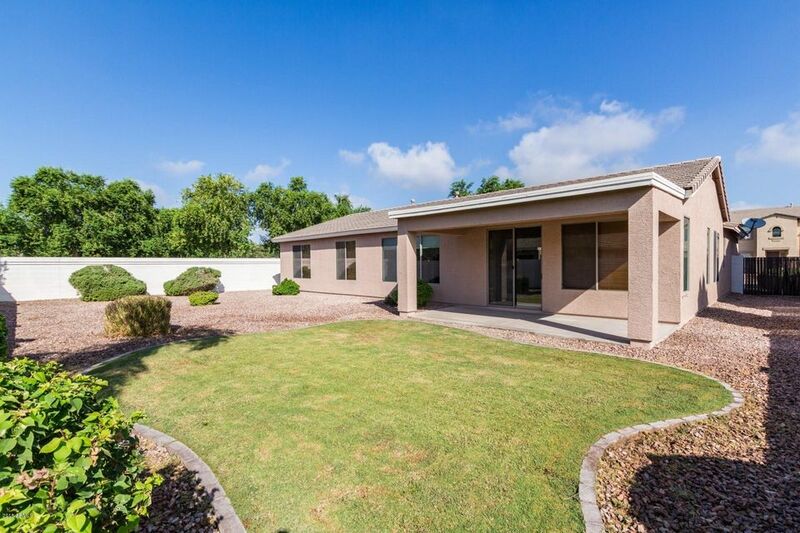 Situated on a premium N/S corner lot with no neighbors directly to the East. STUNNING backyard featuring a large heated/cooled NEW, warrantied pool with water feature and low maintenance landscaping. All of this in the HIGHLY coveted Chandler School District. This home is an absolute MUST see. 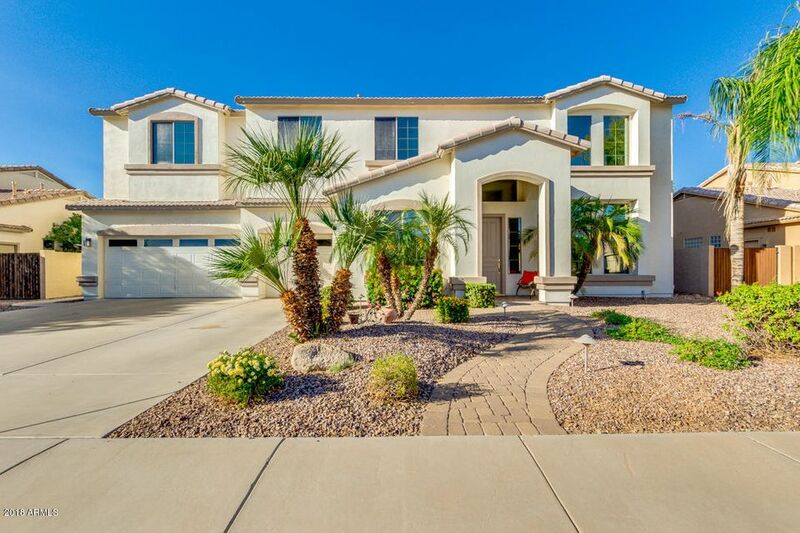 Look no further, you will love this Chandler home! 3 bedrooms and a den, this home is located in a cul de sac lot and includes a split floor plan, spacious entertaining/ living area and a beautiful back yard! The master bedroom is large with a beautiful tiled shower and a walk in closet. The backyard is spacious and great for entertaining. The HEATED pool allows you to enjoy swimming all year long!! Location, location, location!! 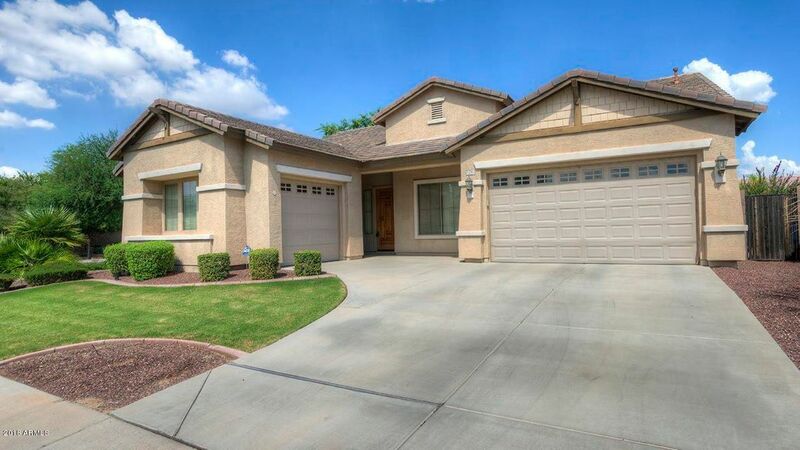 This beautiful Chandler home is located close to shopping, food and entertainment! Welcome home to Rockwood Estates! 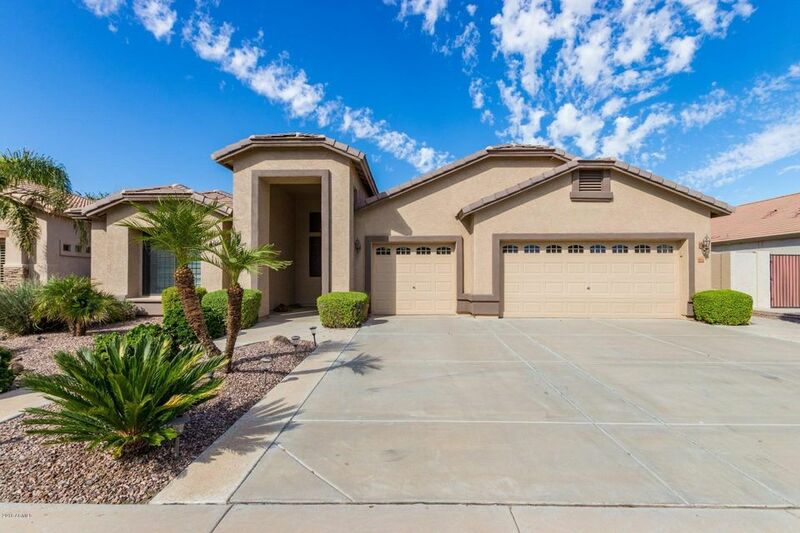 This beautiful, single level home offers 4 bedrooms, den/office, and 2.5 bathrooms. 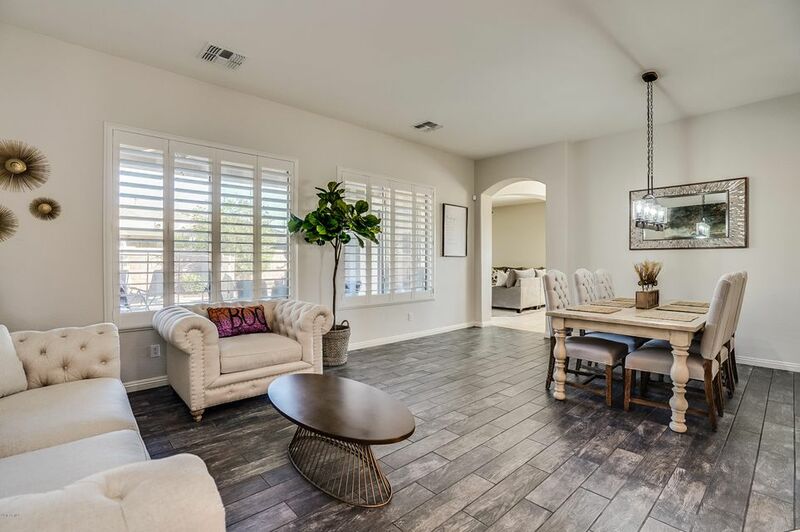 The open family room and kitchen are perfect for family and entertaining, boasting large island with power outlets, Corian counter tops, stainless steel appliances and plenty of cabinets & pantry for storage. The master suite offers private bath with dual sinks, garden tub, glass wall snail shower, and walk-in closet. The additional bedrooms and office are generously sized and offer flexibility for how you want to live. Private backyard has heated pool and spa. This home is conveniently located near shopping, dining, local parks, golf courses, and easy access to freeways. Beautiful large single level house with 5 bedrooms, 3 car garage, 3 bathroom! Split floor plan, separate living room and family room. High flat ceiling of 10 ft across. Huge kitchen island and granite counter top. Professionally deign landscaping both front and backyard! MOTIVATED SELLER!! Your dream home...in your dream neighborhood...awaits. 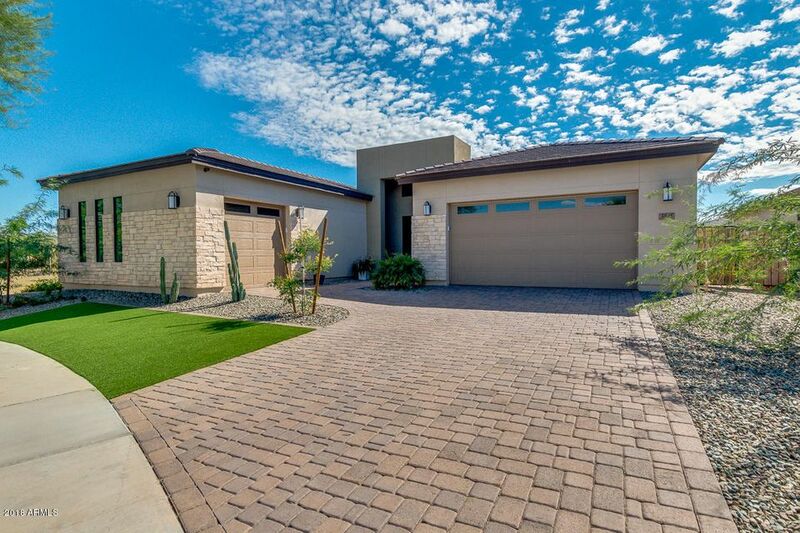 Old Stone Ranch is one of the last modern Chandler neighborhoods with large lots, play parks, community lakes and walking access to major amenities such as Fry's, Starbucks, EoS Fitness and Sprouts. Enjoy your Saturday mornings relaxing with your coffee at Starbucks or in your own ''entertainment-style'' backyard. This beautifully modern 4 Bedroom and 3 Bath family home is spacious inside an out with updated carpet, paint and kitchen. wood flooring with warm wall tones throughout! The ''eat-in'' kitchen features a center island with breakfast bar, granite countertops, plenty of cabinet space and stainless-steel appliances. This home is a one of a kind! 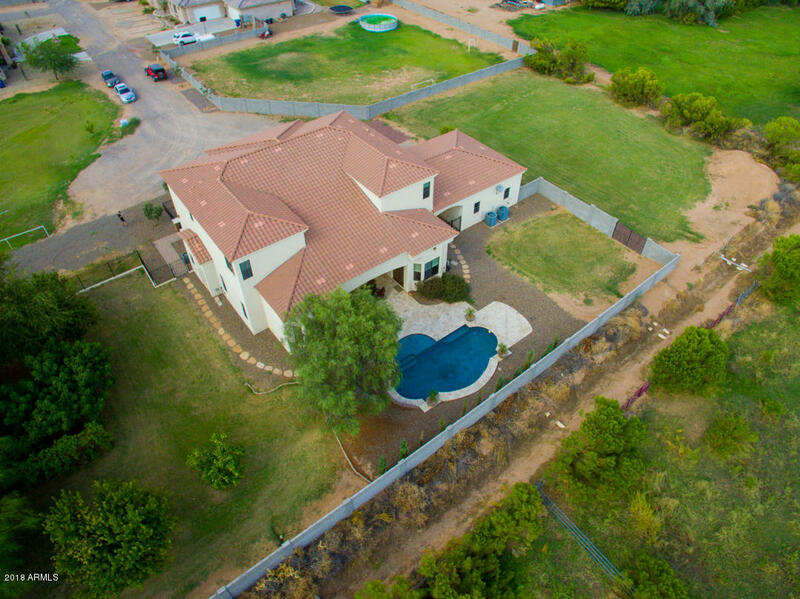 Custom built on 1+ acre irrigated lot, in private community of custom homes. Large front courtyard, Master Suite downstairs, 3 huge bedrooms upstairs, along with the office/5th bedroom. Rec room with balcony. Two car over sized garage plus a covered carport attached to the house and a huge 1500sqft workshop with AC and an office. Kitchen includes alder wood cabinets, walk-in pantry, granite counter tops with island stainless steel appliances, large breakfast nook and formal dining rm. Chiseled edge stone flooring, wood floors in dining & living rooms, solid alder wood doors. Master suite with sitting area, exit to rear patio, two walk in closets, elevated jetted tub & separate stone shower. Custom built pool, with Pavers and block wall. Immaculate home! Wow a Custom Basement Home featuring attached three bedroom, 2.5 Bathroom Guest House and cool Basement with Game Room two bedrooms 1 Bathrooms. Guest House perfect for elderly parents and/or young family. Main floor has a Great Room, Dining Room, Expansive Kitchen with Granite Slab Tops and 42'' Hickory Custom Cabinetry. The remaining rooms are the oversized master bedroom, master bathroom, two bedrooms, and hall bathroom. All this with horse privileges. The main house and basement has 3800 square feet and guest house has 1800 square feet, approximately. 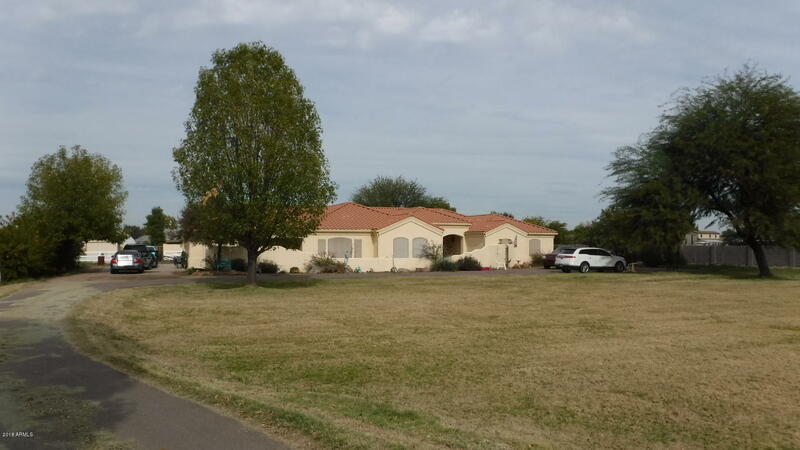 Situated on 1.16 acres with horse privileges. Solar, remote-controlled front gate & circle drive leads you to the gated courtyard front entry that is shared by both homes. What a wonderful opportunity to own this amazing family home w/freshly painted interior & highly upgraded split floor plan Immediate curb appeal as you approach through brick paver courtyard to entry. The spacious kitchen features beautiful 42'' staggered cabinetry w/crown molding, large island, granite countertops & eat in area open to FR. Master bath granite countertops, large walk in closet, separate shower w/jetted tub, private exit from Master bedroom to covered patio. 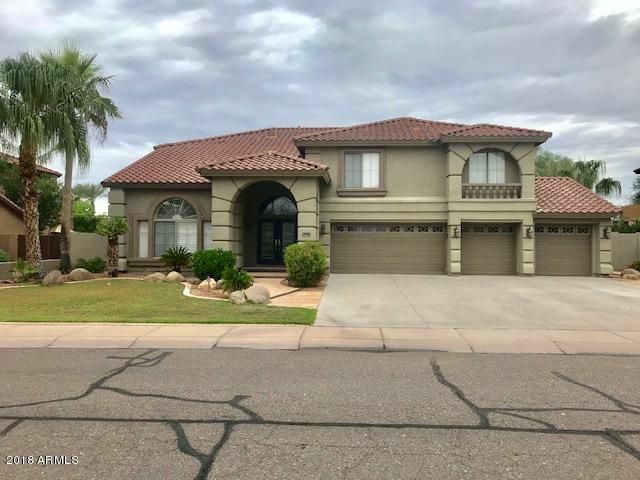 Diagonally laid tile, neutral carpet, ceiling fans t-out, security system, 10' ceilings, 8' doors, H2O softener, epoxy garage floors, storage cabinets & 3CG. 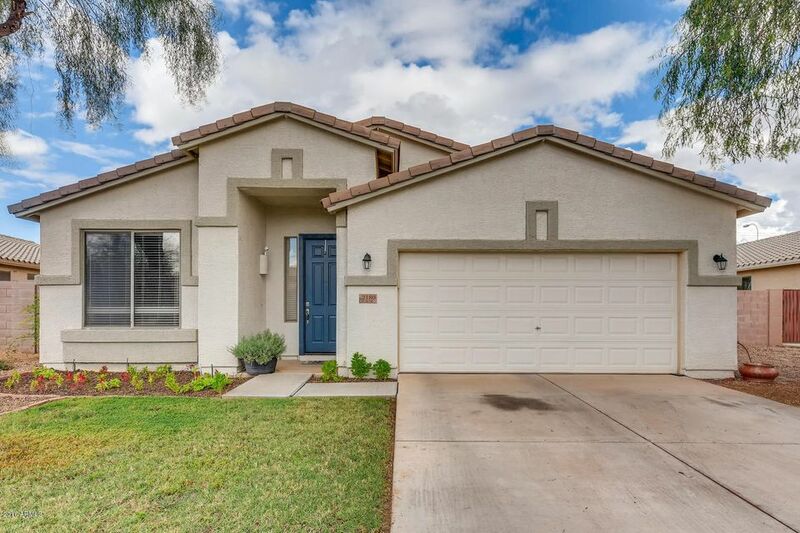 Professionally landscaped w/low maintenance synthetic grass in both front & backyards, above ground hot tub, b/in bbq w/sink & sand filled play area for kids. 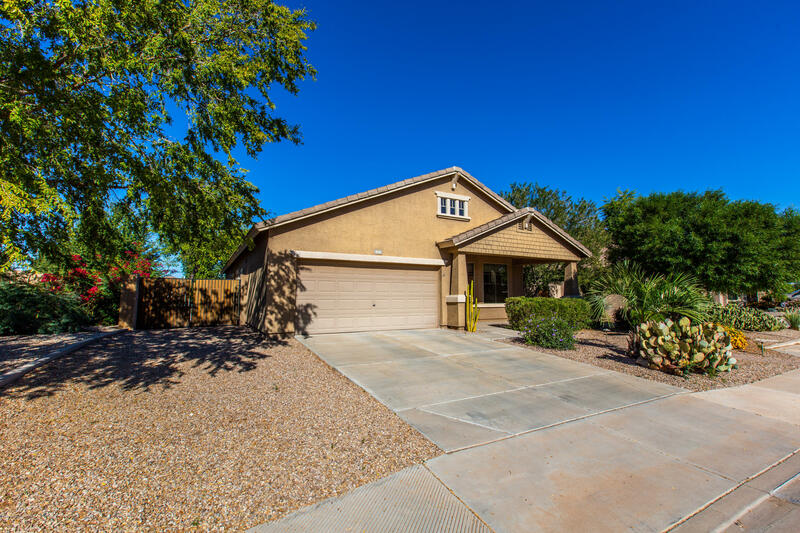 Beautiful single-story home in South Chandler with large mature shade trees in the front yard. Home has 3 bedrooms, 2 baths and a den/office. Inviting Living Room with Formal Dining. Large upgraded eat-in kitchen with new granite countertops, massive butcher block island, RO filter, and all stainless-steel appliances. Plenty of cupboards in the kitchen. Open Family Room has tons of space for entertaining. Spacious master bedroom with walk-in closet, separate shower and tub. Carpet, inside paint, and new blinds in 2015. Exterior paint in 2016. Massive backyard with fruit trees and big lawn for the kids to play, or convert it into your dream yard. 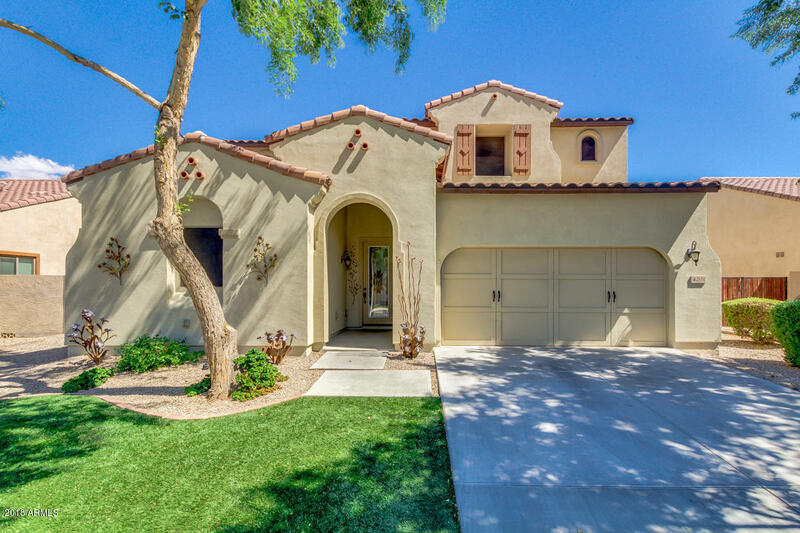 Few Chandler homes have as much yard space as you will find here. 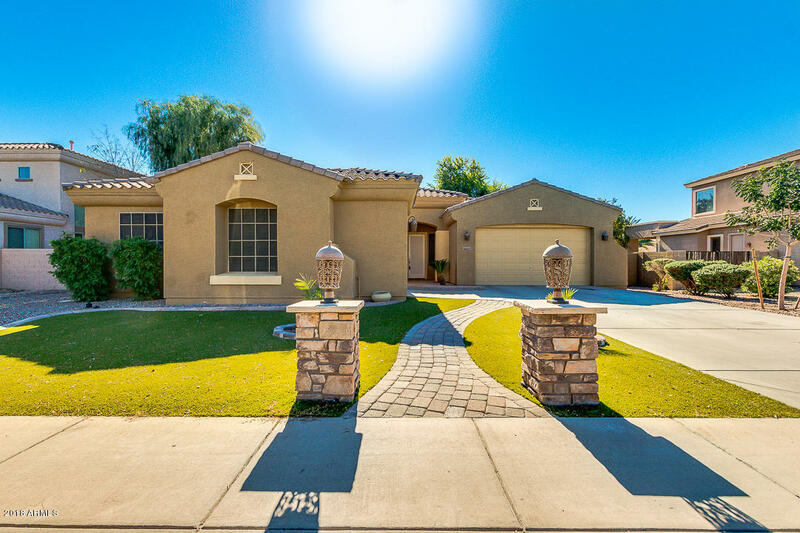 Close to great Chandler schools, in a wonderful neighborhood. Calling all big families!! BIGGEST home in community, almost 5000 sqft!! Gorgeous 7bd/3.5bth plus large game room upstairs, 3+ car extended garage. 2 large downstairs bedrooms with full bath. Ideal for extended guests, relatives, college kids. Efficient home, electric bill averages ONLY $270 per month. Large kitchen with 42' uppers & crown molding, large island, stainless steel fridge & w/in pantry. Separate formal living & dining rooms. Family room w/gas fireplace. Large laundry room w/front loading W/D, cabinets, utility sink & storage closet. Central Vac. Vaulted ceilings. Surround sound h/ups on extended covered patio. 75-gallon water heater. 2-way fireplace at master bath tub, h/h vanities & huge walk-in closet. Large backyard, synthetic turf w/water fountain. Great for entertaining! Come and see this gorgeous ''Cholla'' model with 2 Bedrooms, 2 Bathrooms plus a Den/sitting room. 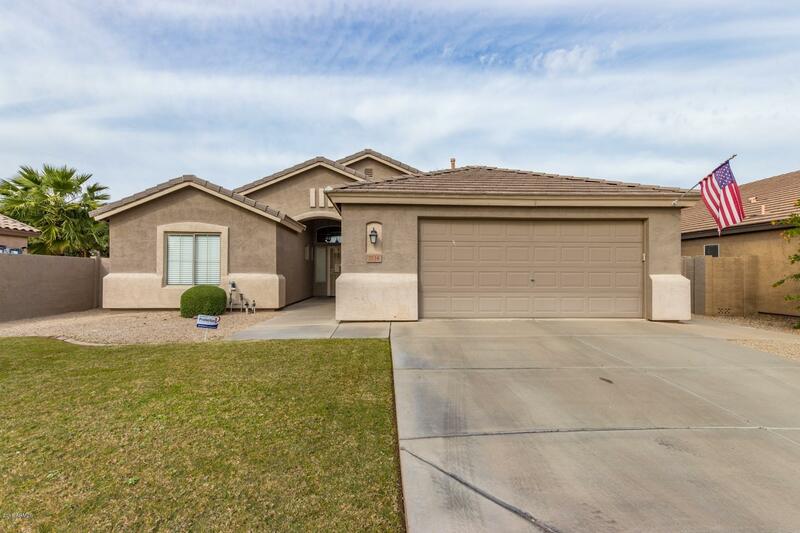 Home features 18'' diagonal tile, wood flooring in the Great Room and carpeting in bedrooms. Upgraded cabinets, Bay windows in breakfast nook and Master Bedroom, Plantation shutters and Ceiling fans. The backyard is perfect for entertaining with its exquisite landscaping and private heated pool w/waterfall feature. The garage has an Extended 2ft Garage w/Epoxy flooring, Storage Cabinets and Service door. Also included is a Whole Home Water Filtration System plus a Re-circulation. It's beautiful! All appliances included! All furniture is available for purchase on a separate bill of sale (except formal dining room set). 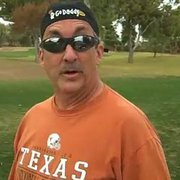 Golf cart does not convey. Stunning home on large corner lot in the perfect location next to the greenbelt w/walking trails, picnic ramada & kid's playgrounds. Split floorplan offers 4 bedrooms, a den, & 2.5 baths. Large gourmet kitchen with granite countertops and gas range. Master suite has seperate tub & shower, double sinks, walk-in closet, glass block & oval soaking tub. 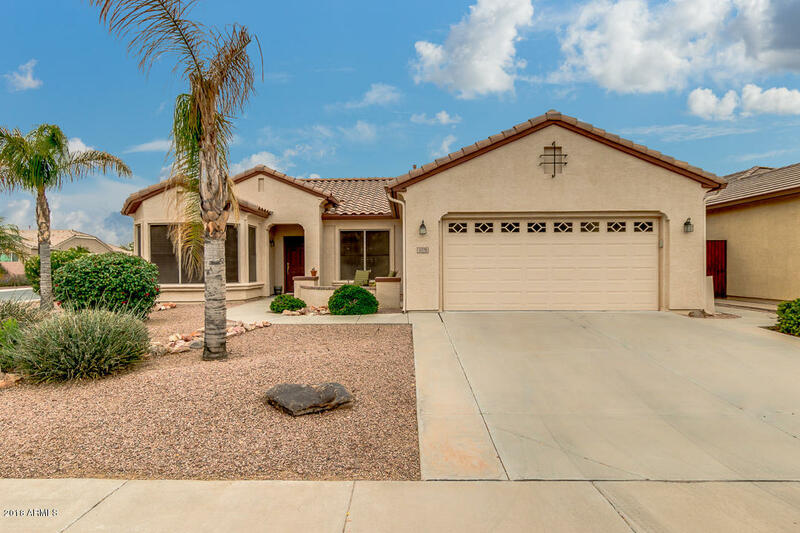 Other features include; ceramic tile, wood blinds throughout, upgraded light fixtures, built-in media center in family room, covered patio, RV gate, huge lot w/plenty of room for a pool. Additionally, a 3 car garage for all of your toys.